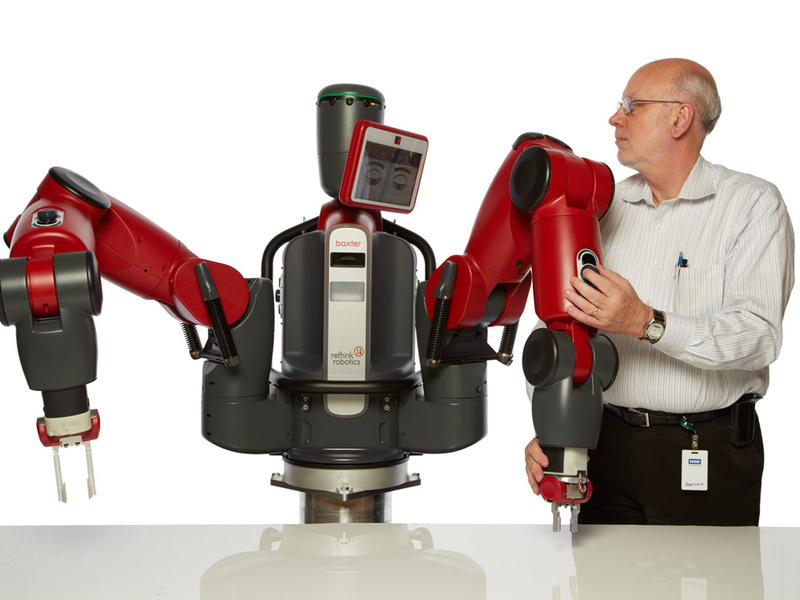 Baxter is a versatile manufacturing robot. 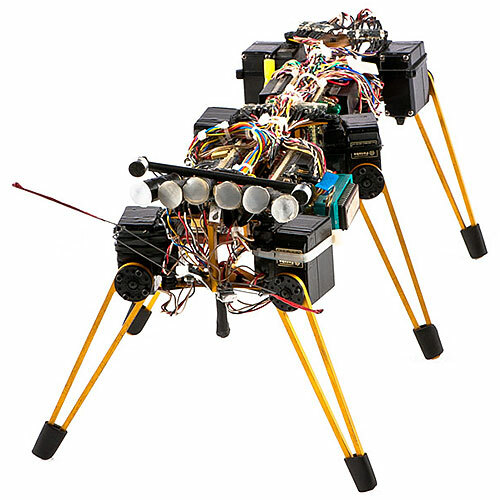 Its cameras and force-sensing actuators let it adapt to changes in the environment, and a user can program a new task simply by moving its arms around. 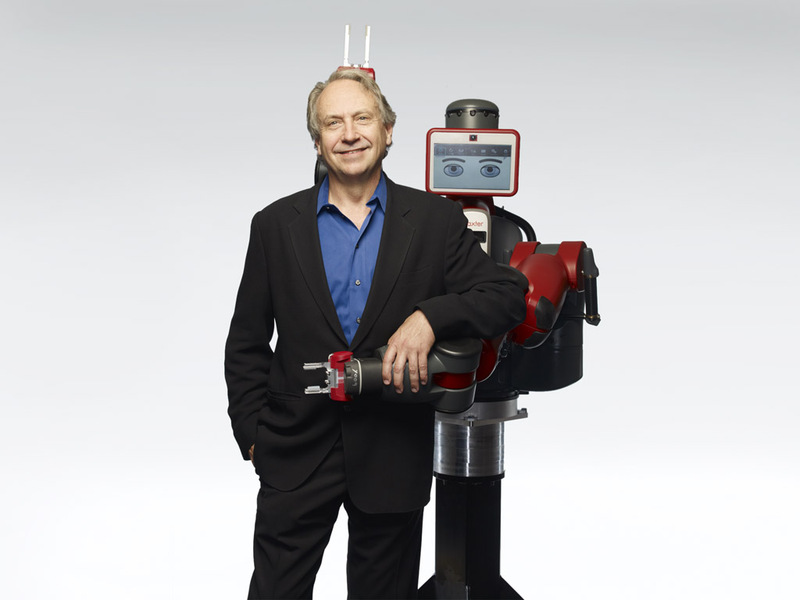 Rodney Brooks gets a hug from his new robot. Baxter is a real joker. Close-up of Baxter's forearm camera. 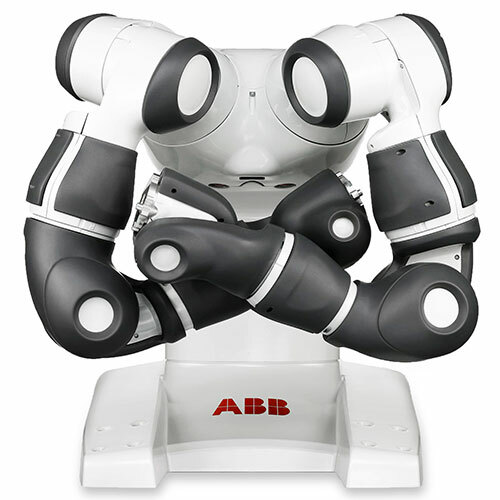 The arms are powered by series elastic actuators. Baxter can coexist peacefully with humans. Product manager Mike Bugda demonstrates how Baxter works. 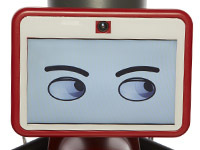 Baxter doesn't speak, but it nods its LCD head to indicate that it has understood a new command. 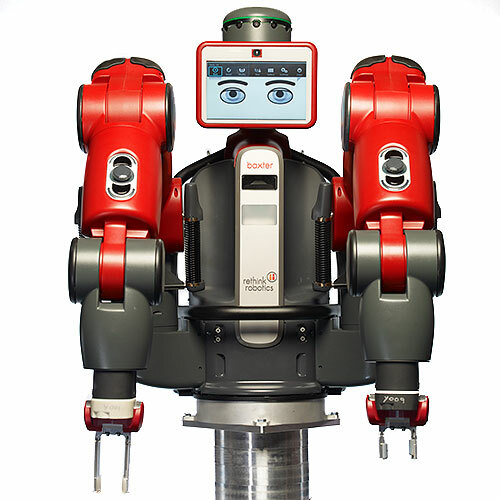 The company originally wanted to name its robot Cooper (for cooperation), but it ran into trademark difficulties and chose Baxter instead. 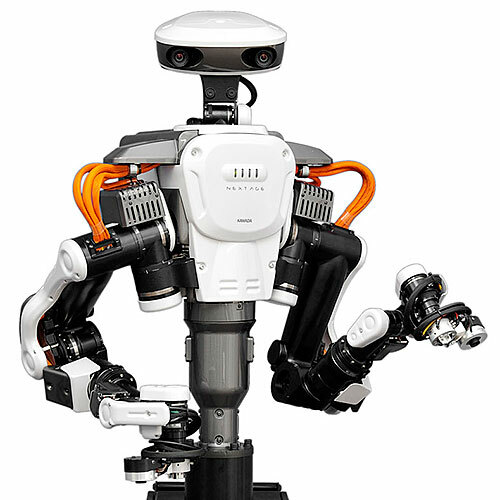 Rethink's robots are named after Old English occupations, Baxter being a baker. 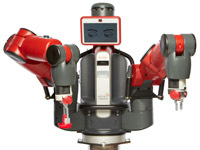 Rethink has released a software development kit to let users modify Baxter's capabilities and behavior. 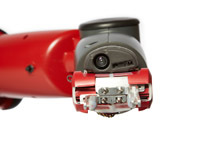 Equipped with active and passive safety systems and a user-friendly control interface. 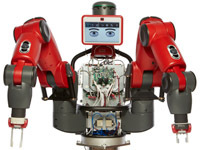 Able to control movements based on vision and force sensing. Five cameras (one in the head, two in the chest, and one in each forearm). Force sensing based on series elastic actuators. 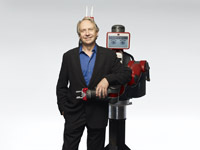 Head with sonar array for detecting humans moving close by. 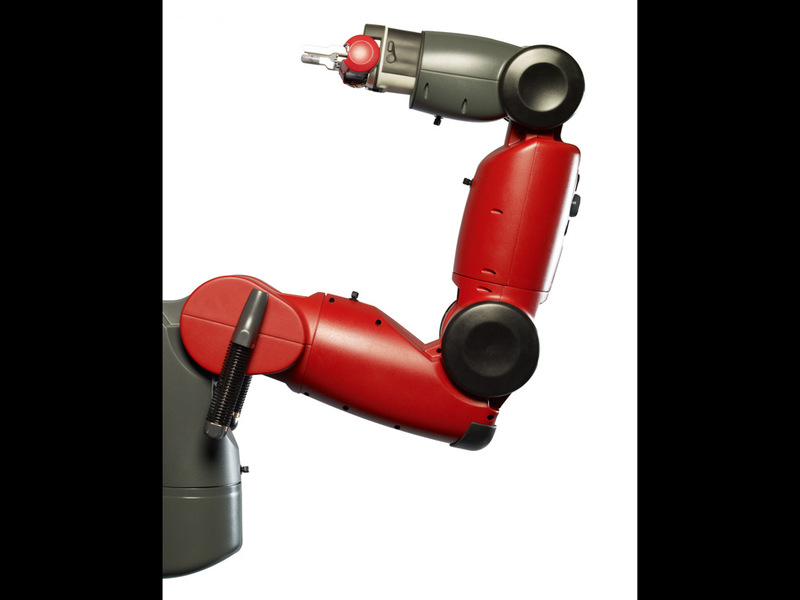 Series elastic actuators with brushless DC motors, metal and plastic gearboxes, and custom spring element. 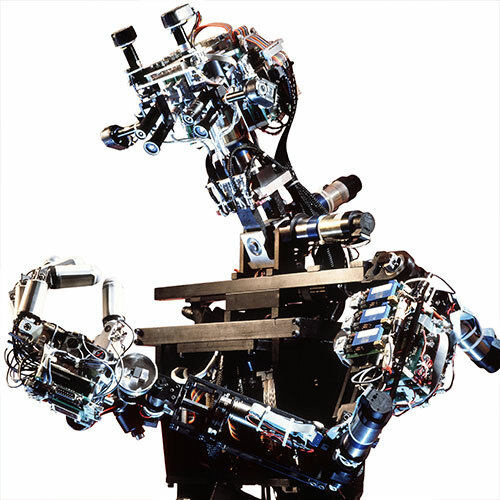 Intel-based main computer inside torso. 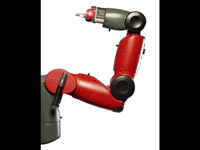 ARM-based motor controller boards inside arms. 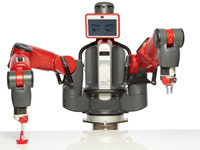 Linux OS and custom control software with ROS (Robot Operating System) integration. Cast aluminum, thermoplastics, powdered metal parts. 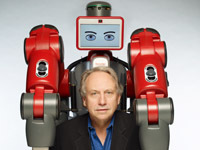 Rodney Brooks, a cofounder of iRobot and a former director of MIT's Computer Science and Artificial Intelligence Laboratory, founded Rethink Robotics, then called Heartland Robotics, in 2008. 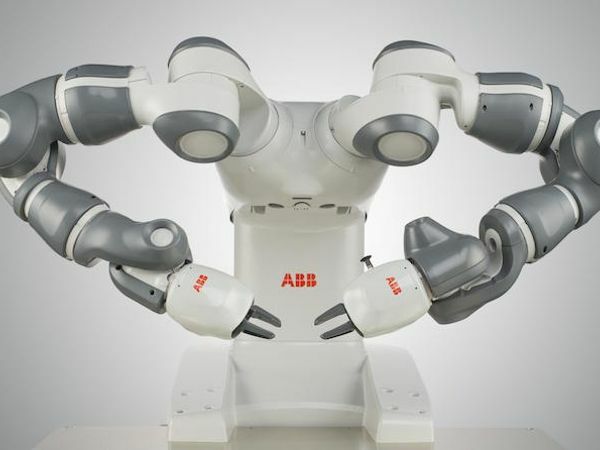 His goal was to develop an affordable industrial robot that could automate repetitive tasks in small and medium-size manufacturers, working alongside humans and helping them with tasks rather than taking their jobs. 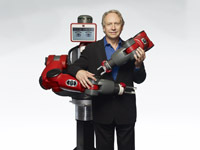 The company worked in total secrecy until late 2012, when it changed its name to Rethink Robotics and unveiled its first robot, called Baxter. Rethink has raised $62 million in venture funding.